Englisch – Deutsche Umwelthilfe e.V. 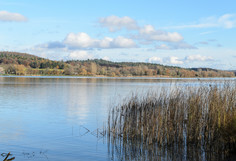 Environmental Action Germany (Deutsche Umwelthilfe e.V. - DUH) was founded in 1975. It is a non-governmental environmental and consumer protection organisation in Germany. You can make a very strong contribution to environmental and nature protection by becoming a supporting member. We promise to put all our energy into protecting natural resources for future generations. We enforce nature and environmental protection. For many years, we have been forcing politicians and public authorities to consistently implement nature conservation and environmental protection. In times of climate change, this is the only way to preserve biodiversity for the future. Protected areas and wildlife habitats need our support. Our organisation brings together local activists and supports their work on site. We build lasting networks for nature and environmental protection. We are engaged in protecting forests and rivers as well as diverse cultural landscapes. Your donations help us to protect sea eagles, seals, otters and other endangered species and to preserve their habitats. We demand a good climate for everyone. You are a Central or Eastern European NGO which works with clean energy, energy efficiency and/ or renewable energy on a national level and you would like to expand the work on a European level? Find more information here. We expose cheating enterprises and make transport policy for climate protection. Road traffic is the only area where emissions of climate gases are increasing. 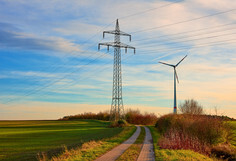 For this reason, Environmental Action Germany organises information campaigns on a regular basis, and is involved in projects of several years for the reduction of traffic-based CO2 emissions in Germany and Europe. The exhaust gas scandal also showed clearly that numerous manufacturers mislead car drivers with wrong information and illegally switch off emission control systems. Therefore, Environmental Action Germany, as the first and, so far, only environmental protection organisation, has been measuring passenger car emissions since May 2016 itself. 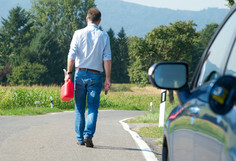 How much fuel does your car really consume? Are you familiar with the situation, too? Your car guzzles much more fuel than indicated. Drivers cannot rely on the official fuel consumption data for their vehicle actually reflecting reality. We fight for clean air! According to estimates by the European Environment Agency (EEA), approximately 59,500 people die prematurely each year in Germany alone - in the EU a total of 403,000 people - from the consequences of particulate matter pollution. In addition, diesel soot emissions accelerate climate change, as they are carried by the air streams of the northern hemisphere to the Arctic and the glaciers of the high mountains in particular, causing accelerated ice melting there. The fight for clean air needs perseverance. We have been fighting against air pollution and for clean air for decades. 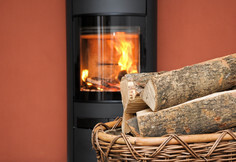 As a renewable fuel, wood can be a good alternative to heating with oil, gas and coal. But stoves and boilers have to become substantially cleaner. In Europe, residential burning is the biggest source of harmful substances such as particulate matter and soot. We highlight alternatives to the throw-away society. Today we already consume more resources in our daily lives than the Earth can lastingly provide for. In order to protect our environment, it is vital to avoid waste, to collect reusable materials and recycle these thus preserving their value. This is the reason why Environmental Action Germany fights for ambitious environmental laws and a sustainable circular economy. We present re-use solutions against the “throw-away economy” and we promote environmentally-friendly alternatives to disposable bottles, coffee capsules or shopping bags. Pollutants should also not be included in products or waste. For this reason, we advocate an approach in which only reusable materials are used and no waste that could be a burden for future generations is caused. We fight for transparent consumer information. Protecting the environment and consumer rights are inextricably linked with each other, because clean natural resources such as air and water guarantee the protection of human life and health. Nowadays, environmental protection also means complying with the legally established protection of people against the effects of environmental pollution. Your donation helps us to protect consumer rights and supports our efforts to influence future legislation. We encourage municipalities to save energy and resources. Consumption of energy and resources is also increasing at municipal level. Environmental Action Germany has made it its goal to promote municipalities in assuming a central role in matters of climate protection. Firstly, we support municipal energy suppliers when drawing up and optimising their climate protection strategies. Secondly, we campaign for a reduction in CO2 emissions and in resource consumption by municipal IT facilities. These awards provide local environmental projects and the people behind them acknowledgement and support to drive sustainable development forward. Your donation helps our experienced team to answer questions and to advise numerous municipalities. Do poor people suffer more from traffic noise? Are they exposed to higher pollution loads? Is access to nature, energy, healthy food and an attractive living environment a luxurious good that is only affordable for the more affluent social strata? These questions concerning social and spatial inequalities in the distribution of environmental benefits and burdens have been discussed in the USA since the 1980s under the terms “Environmental Justice" and "Ecological Justice". In Germany, the links between biodiversity and quality of life, social justice and equal opportunities in health matters have been dealt with since the beginning of this millennium. We are active in communicating this issue in Germany and we encourage municipalities to find suitable solutions for all citizens. 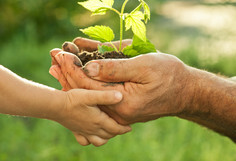 … and how to get children in touch with nature to inspire them to protect the environment. We offer nature experiences to children and make them the future allies of our planet.